"I got locked out of my HTC One so I had to perform a factory data reset and all my data are gone. I was wondering if there is a way to retrieve my lost files, especially the contacts." 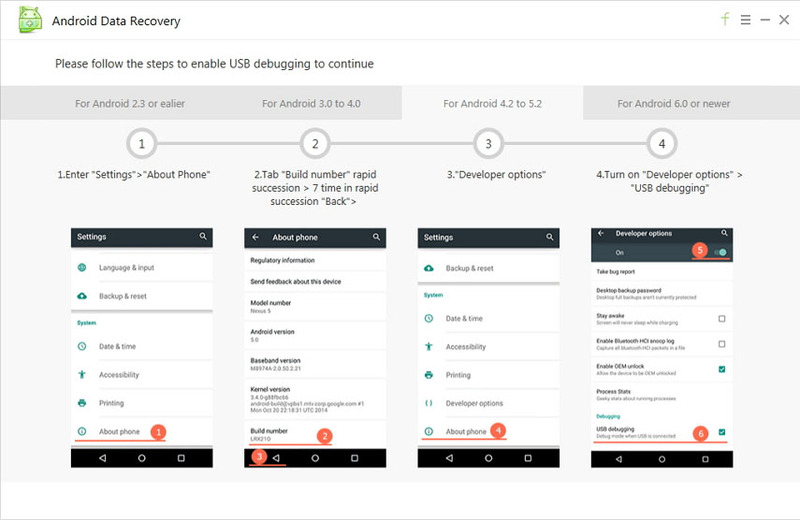 You might need to recover data from Android phone after factory reset, Android rooting, etc. As a matter of fact, it's next to possible if you just rely on our hands to recover data from Android phone. If you rely on some software tools, such as the Android Data Recovery, there would be a big difference. The Tenorshare Android Data Recovery tool works for all brands of Android phone including Samsung, HTC, Sony, Motorola and LG running any Android OS such as Android 6.0, Android 5.1/5.0, Android 4.4, and lower. It can be very easy to recover files from Android phone with Android Data Recovery. Download it to your computer and install it for a free trial. 1. First of all, connect your Android phone to the computer and enable USB storage on your Android phone. If you've enabled USB debugging on your phone before, you can directly jump to the next step. If not, you'll get the window below. 2. You need to follow the instructions on the window above to enable USB debugging first. Choose a way according to the Android OS running on your device. 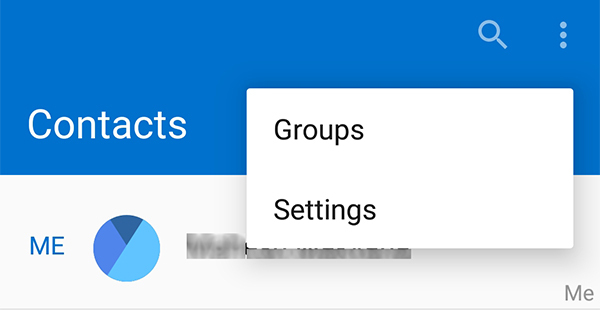 3) For Android 4.2 and later: Enter "Settings" < Click "About Phone" < Tap "Build number" for several times till you get a note "You are under developer mode" < Back to "Settings" < Click "Developer options" < Check "USB debugging"
Too complicated for you? Or your USB cable is lost or the USB port is damaged and you can't connect your Android phone to PC? You can try Tenorshare Android Data Recovery Pro which enables you to connect via Wi-Fi. 3. After setting the USB debugging, your device will be detected by the Tenorshare Android Data Recovery. Click "Allow" when an app Super user Request pops up on your device's screen to allow the program super user authorization. 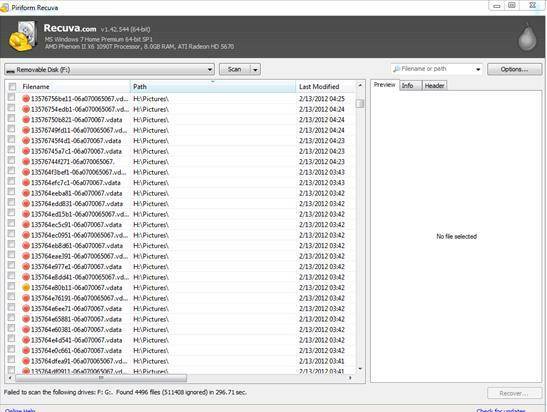 Then click "Start" on the software screen to start scanning Android phone for files you need. 4. When the scan is over, all recoverable messages, contacts, photos and videos on your Android will be found and displayed in the scan results. Mark what you want and then export them to your computer by clicking "Recover". As you can see, Android Data Recovery is easy to manage and use. You can feel free to seek help from it if you need to retrieve deleted data from Android phone. Tenorshare Android Data Recovery could come to rescue the contacts, messages, photos, etc. on your Android phone in many circumstances. Just list a few below for your reference. Just feel free to try and it will quickly recover all your contacts, photos, messages and more on Android devices.